If you want to operate a valve manually, but maintain the advantage of the fail-safe spring’s certainty of position when unattended, check out the Kinetrol's spring return handle. 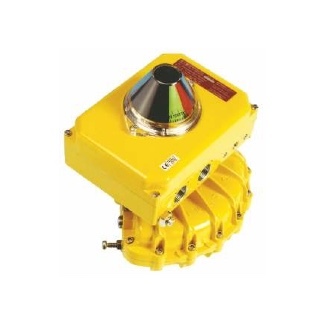 This uniquely designed manual operator offers some compelling advantages in automating valves and provides additional levels of plant safety. 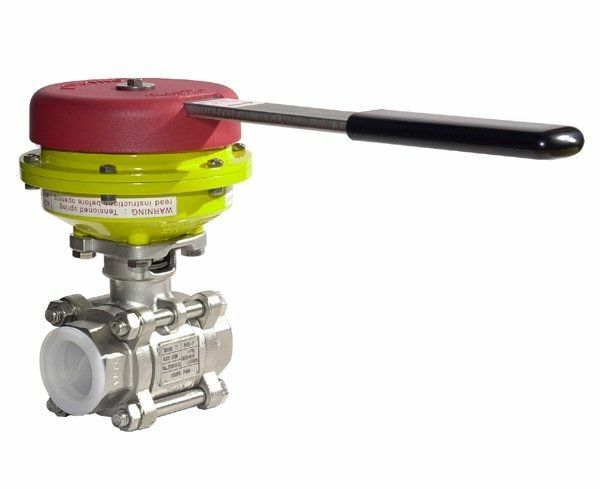 Spring return (also known as "deadman") handles will help you meet individual plant safety requirements as well as and OSHA requirements for valves that must return to the closed position after operation. Different from lever handle or gear operators which will leave the vale in the last position, the spring return deadman device ensures that the handle will always be driven to its original starting position by the associated spring. Water treatment involves multiple physical, chemical and biological processes that transform raw water into drinking water. Clarification, which includes the removal of excessive color or turbidity of raw water to produces clear uncolored water, is one of these processes. Clarification typically includes coagulation, flocculation and settling. A Superpulsator unit is a simple type of clarification system utilizing an upward flow tank and inclined plate settling. It operates by varying the level of the flocculation tank through the use of a vacuum pump and vent valve. The pump creates a vacuum in the tank causing the water level to rise. A vent valve then opens to atmosphere causing the water level to fall. 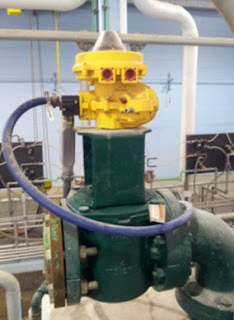 The valve is then closed, and the process repeats itself continuously. 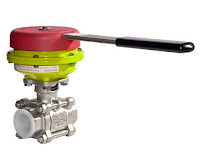 The actuated vent valve is controlled by a timer set to pre-defined vacuum and vent cycles. A Kinetrol USA Distributor was called in to assist in a water treatment plant’s upgrade to superpulsators. After reviewing the application, the Distributor specified 4" plug valves actuated with Kinetrol vane actuators and Kinetrol ULS limit switches. The plant’s original system was using double acting, air cylinder operated valves. These had to be replaced because they wouldn't be able to withstand the superpulsator's constant vacuum and venting cycling. The more robust Kinetrol actuator, capable of very high cycle rates, was clearly the best choice. After installation and startup, and several years in operation, the Kinetrol actuators are performing flawlessly and are providing maintenance-free operation.